It's not that poor people are too uneducated to control their finances. Quite the opposite. They manage highly complicated budgets on very tight margins. My argument is that bank accounts help poor people more effectively confront the problems that keep them stuck in poverty. Sometimes people give me a puzzled look when I say this. You might be thinking: "poor people don't have money - isn't that what makes them poor?" So why do they need tools to manage money? But poor people do have money - at least a little. It's just that their finances tend to be unstable, unpredictable and hard to manage. Farmers, for example, don't have the luxury of a regular 9-to-5 paycheck. They might only get paid twice a year. And their earnings depend on many factors beyond their control, such as the weather or the whims of the market. 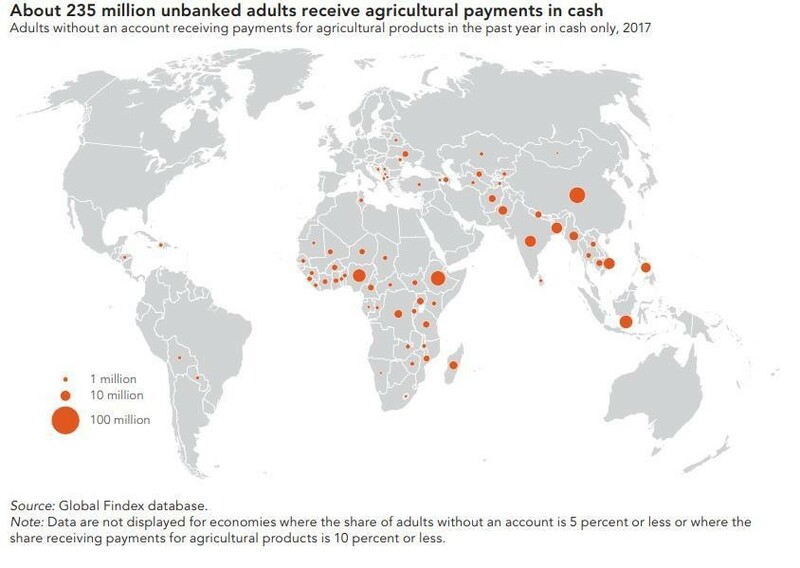 A lot of farmers are unbanked, so they rely on cash. But cash is tricky. It's easy to lose and easy to spend. Instead of using a bank account to hold savings, an unbanked farmer might stuff cash under a mattress. What if their husband steals it? What if their house burns down? Or maybe they save by purchasing livestock. What if there's a surplus of animals when they need to sell, and they can only get half of what their animals are worth? In this situation it's hard enough to stay solvent. Forget about saving for long-term goals, such as buying better farming equipment, or investing in education. But accounts, whether accessed through a bank or mobile money provider, make all that much easier. They help people take control of their money and financial lives. Mobile money accounts don't just make life easier. They can help prevent people from falling into poverty by softening the impact of sudden expenses. For example, medical bills push millions of people into poverty annually. When a villager gets sick, she can use mobile remittances to gather money from faraway relatives. Research suggests that people with mobile money accounts get more money when an emergency hits, from a wider social and geographic network of friends, thereby helping them make ends meet during a crisis. The World Bank's Global Findex data offer a bright spot on the global development landscape. Roughly 1.2 billion people have opened an account since 2010, creating new opportunities to improve their financial well-being. There's a big caveat to this global progress. Women in developing countries are still nine percentage points less likely than men to have an account. That number has not improved, and it's even worse in some places. For example, in Pakistan, men are five times as likely as women to have an account. So how can we help close the gender gap? Africa points to one solution: mobile phones. Gender differences in account ownership are often much smaller in African countries where mobile money is widespread. It's still too early to tell if there's a genuine connection between mobile money and gender equality, but the early signs are promising. Others say that unbanked people don't want bank accounts. Our numbers don't support that. The Global Findex shows that only 3% of unbanked adults globally say lack of need is their only reason for not having an account. This suggests that most unbanked people would be open to using financial services if they were accessible, affordable, fair and useful.